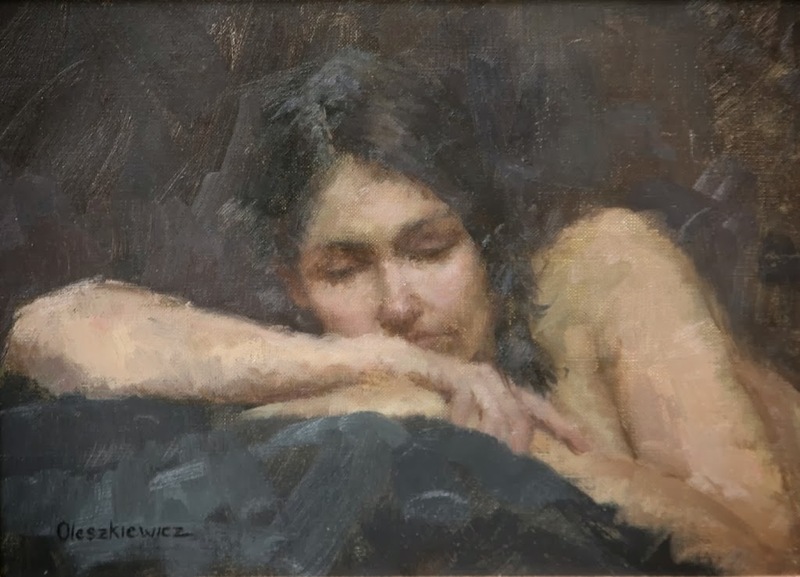 American painter Marci Oleszkiewicz-Taylor has been studying art and painting for some time, it wasn't until 2007 when things started to move forward and she began to see what the future might hold for her as an artist. 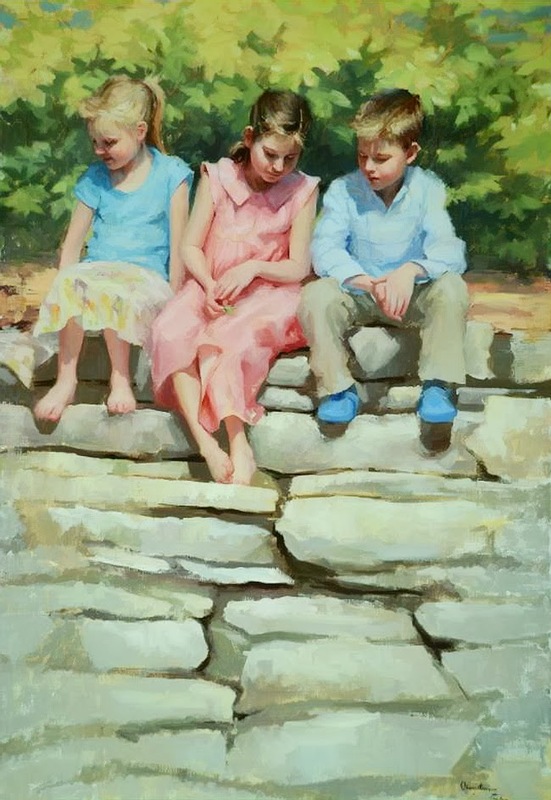 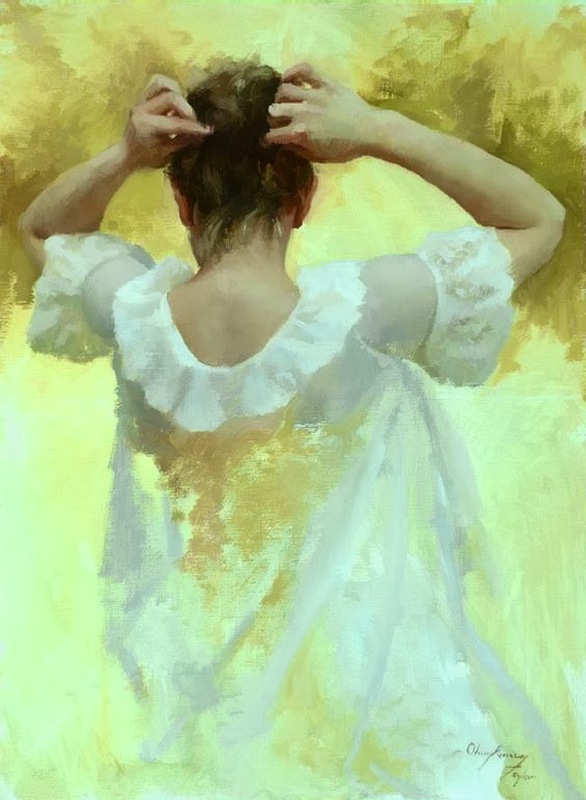 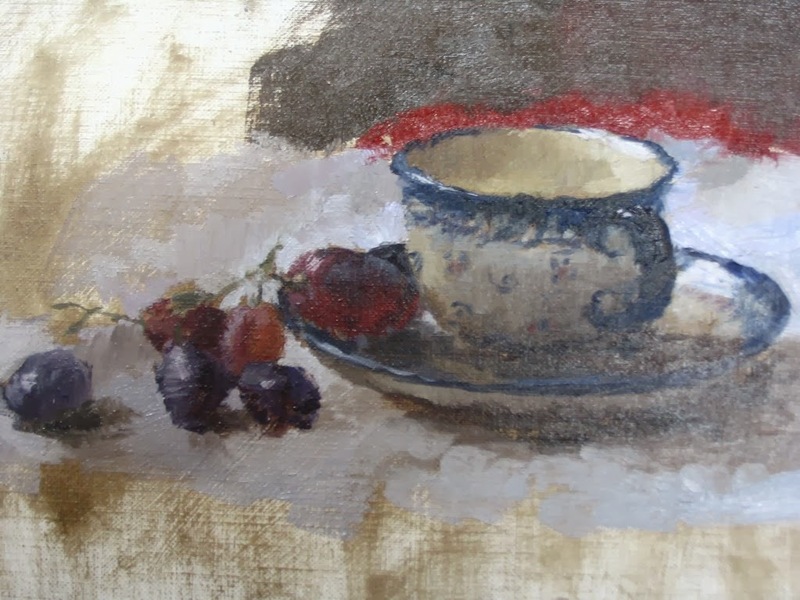 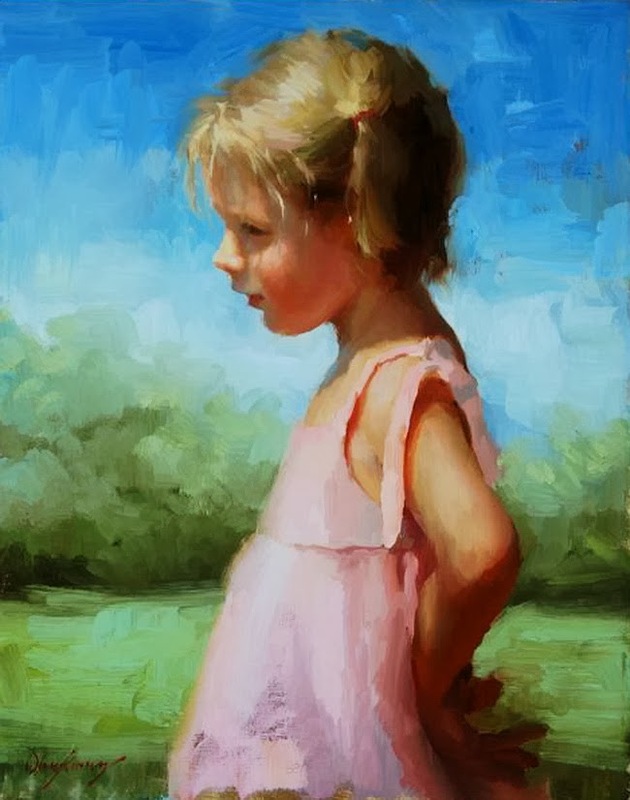 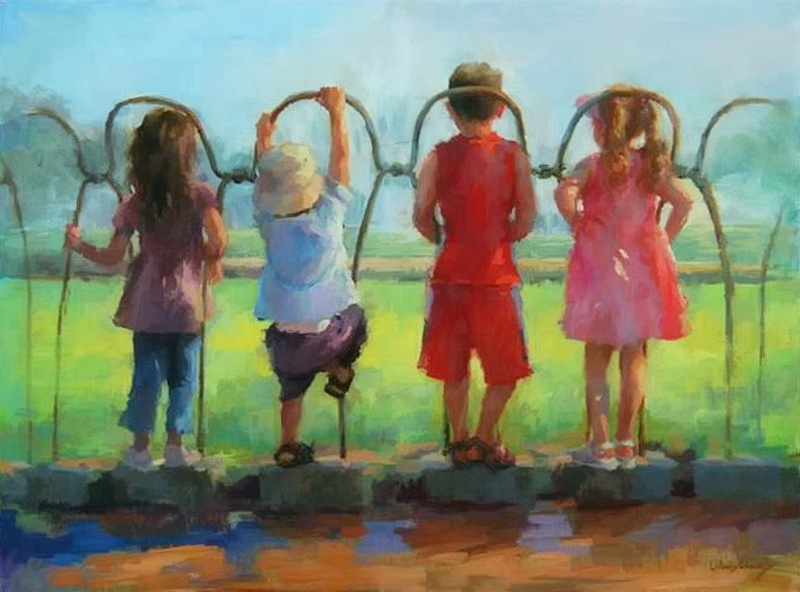 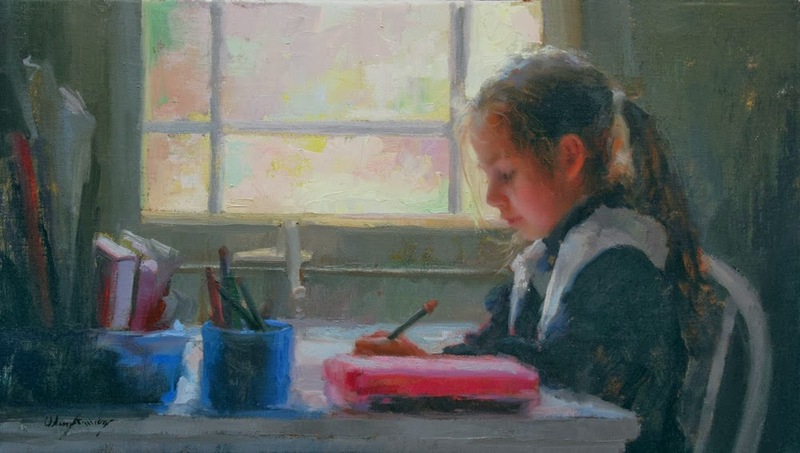 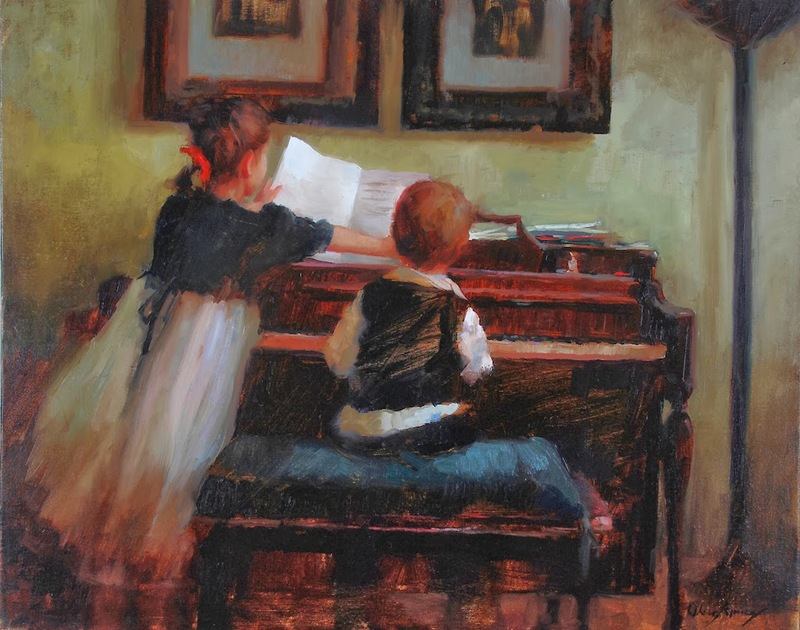 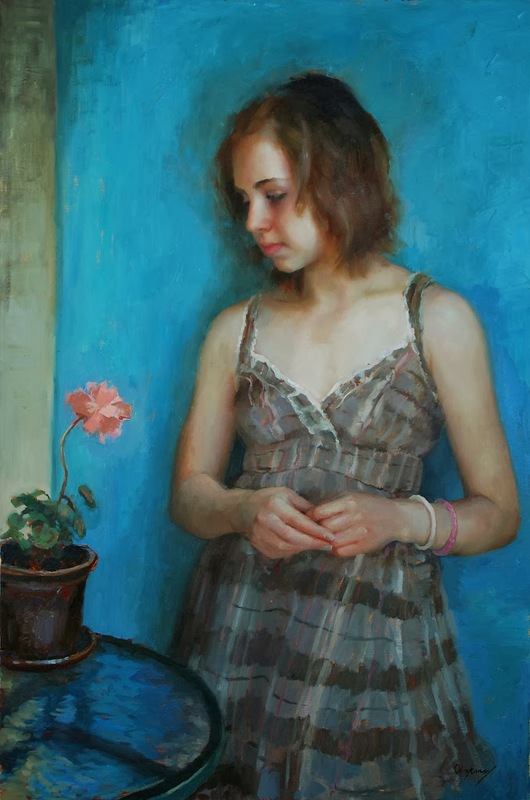 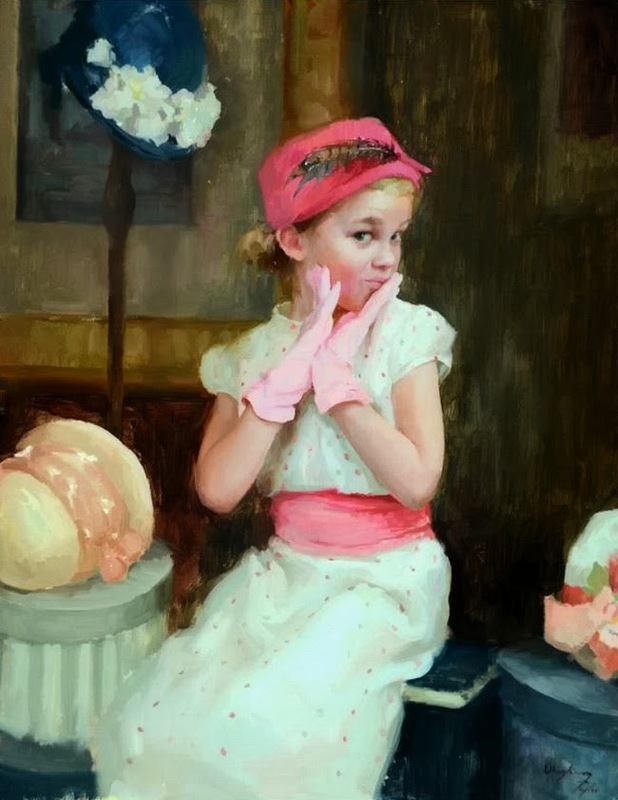 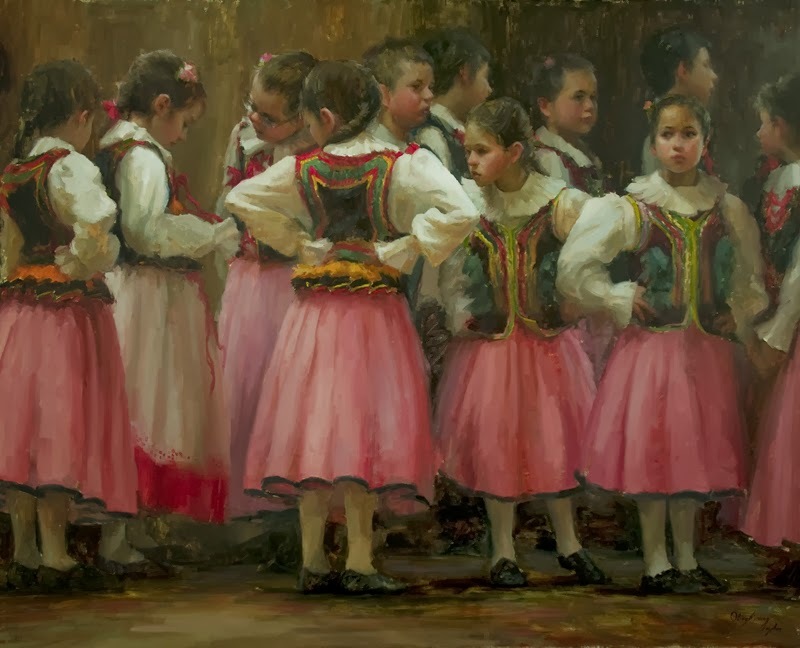 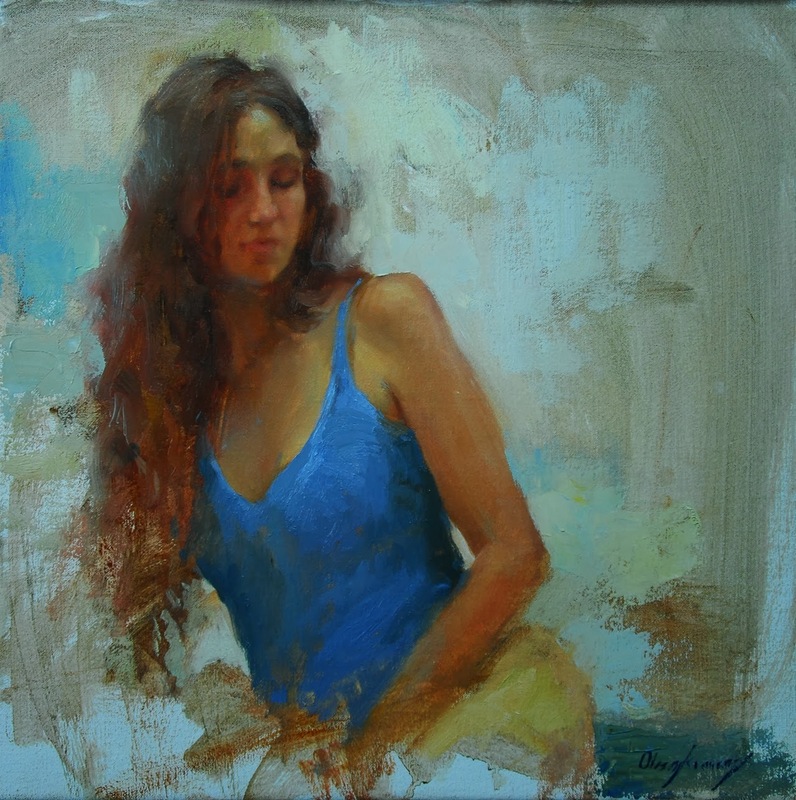 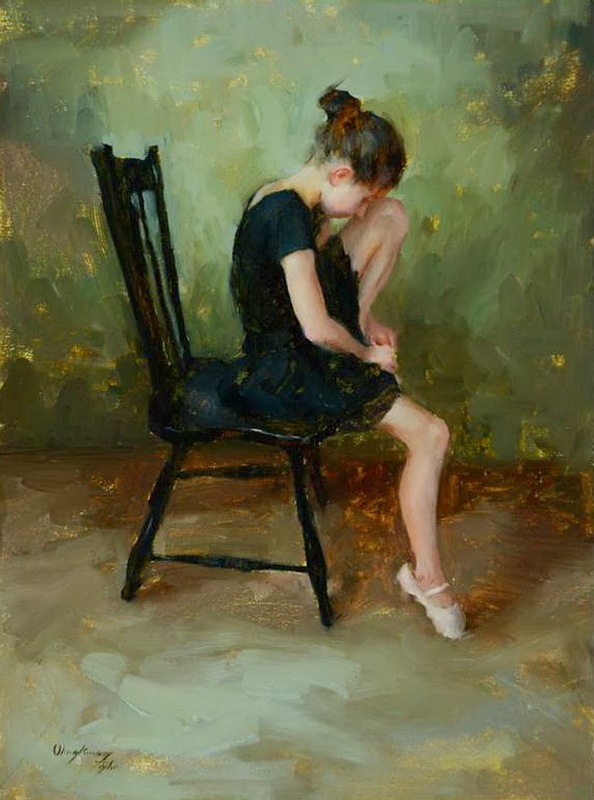 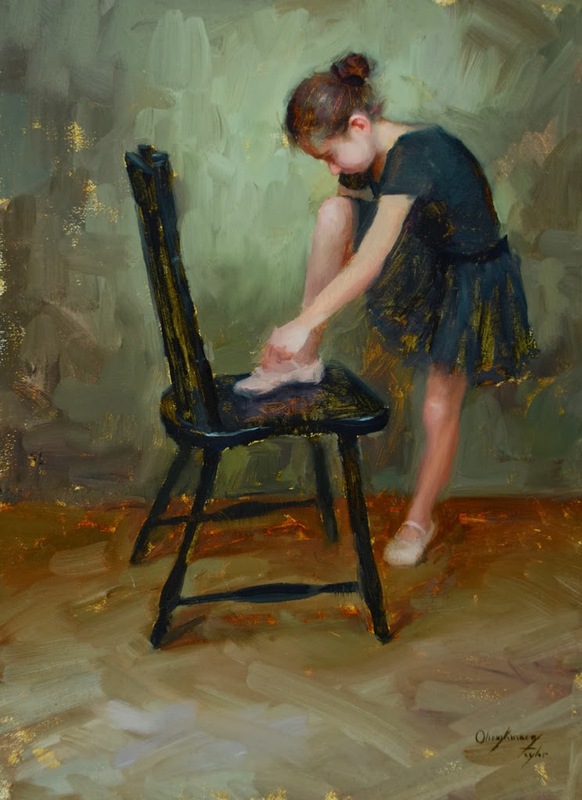 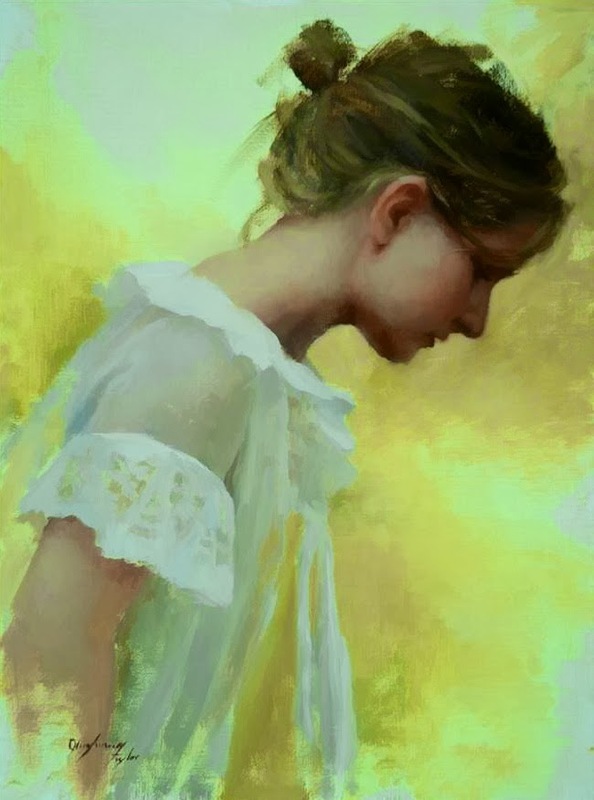 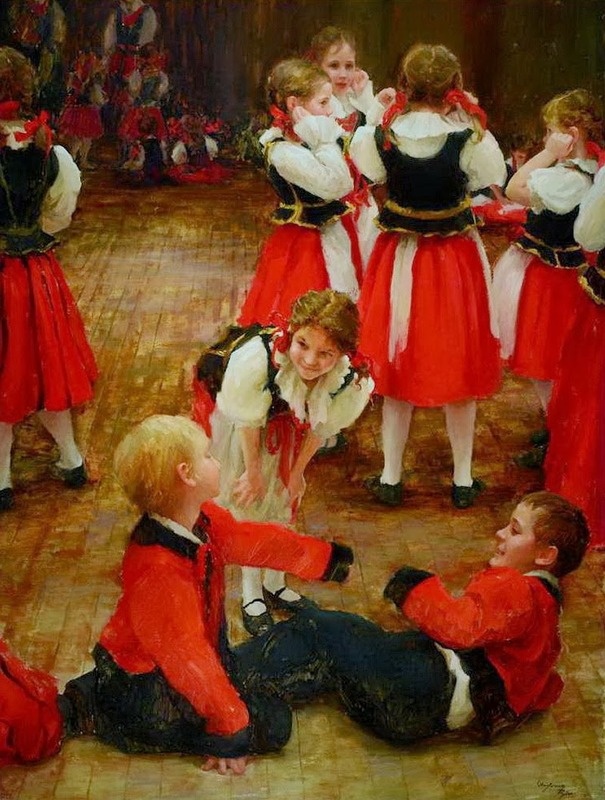 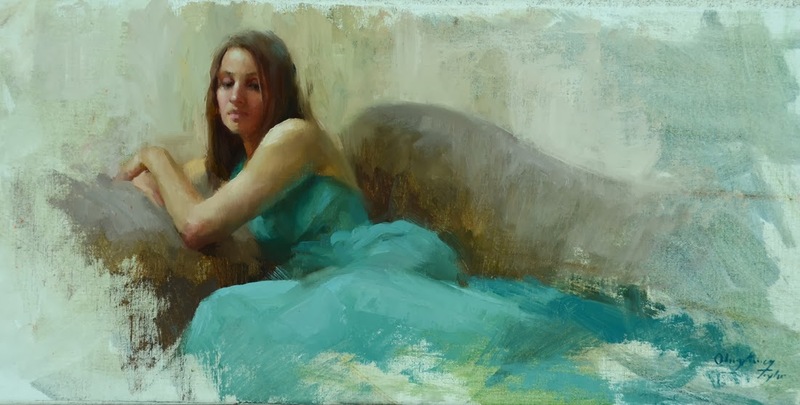 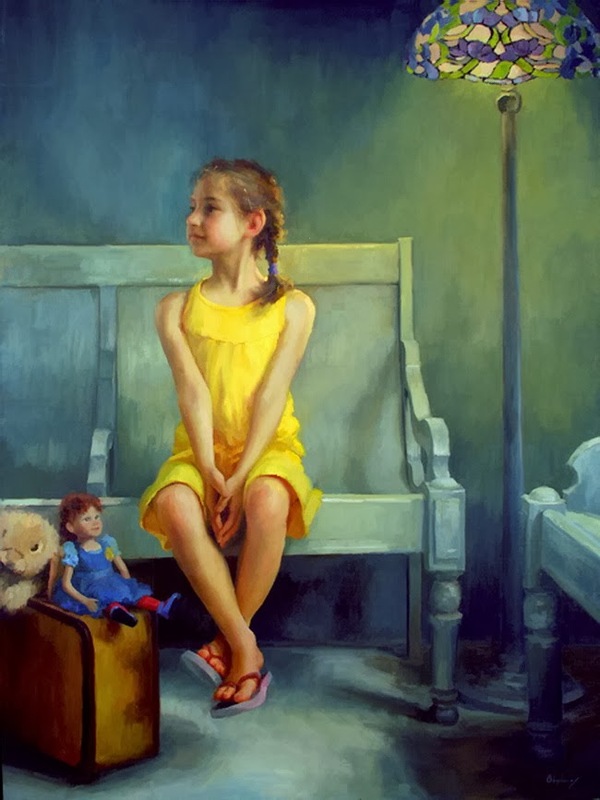 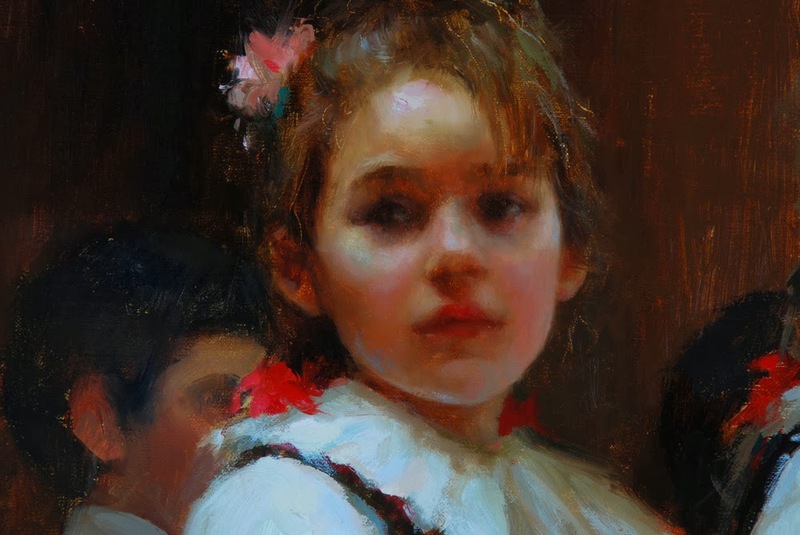 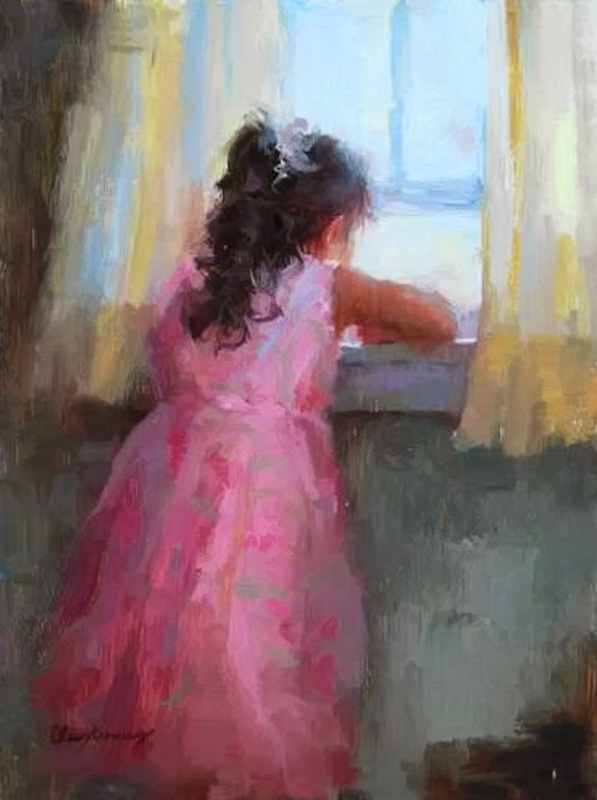 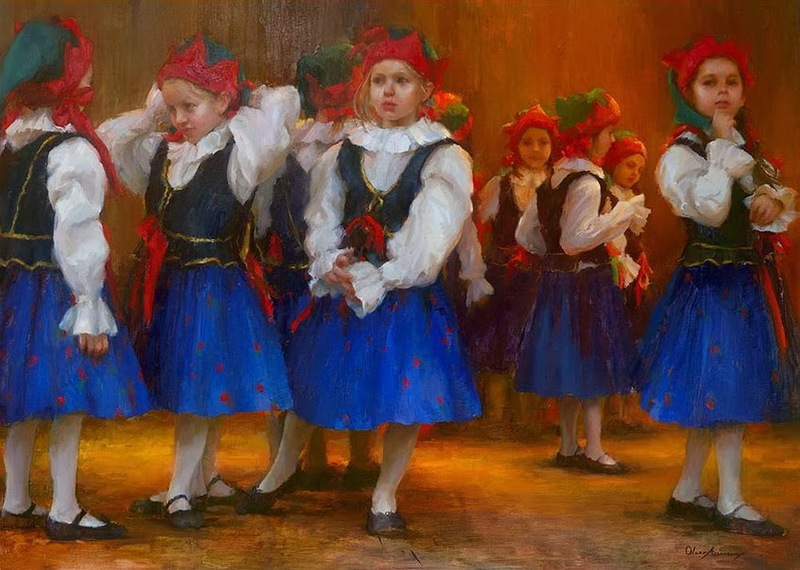 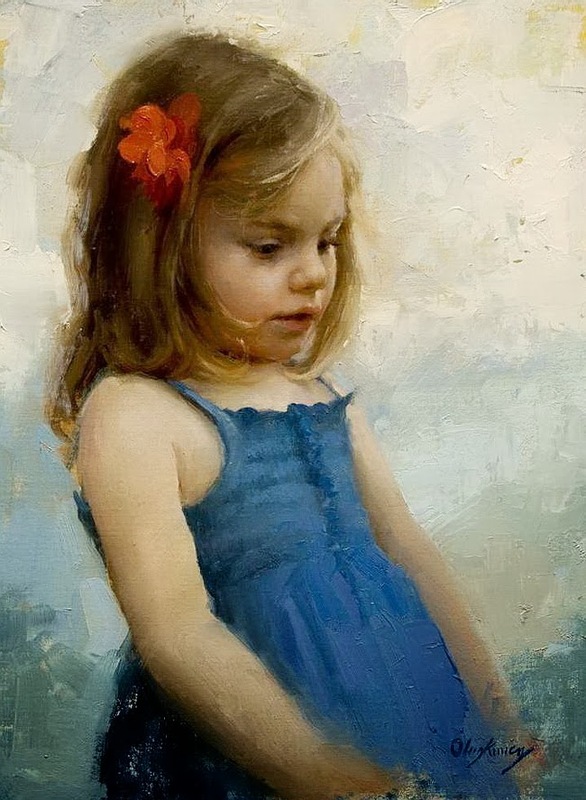 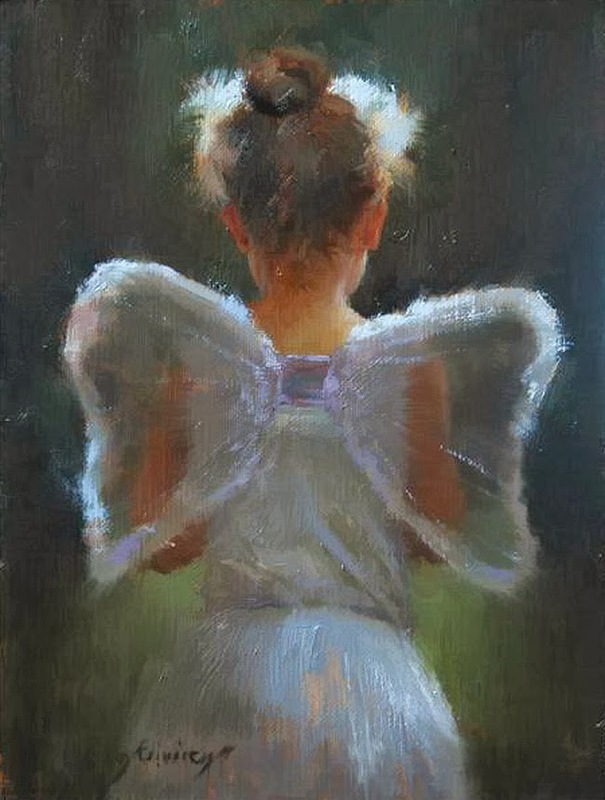 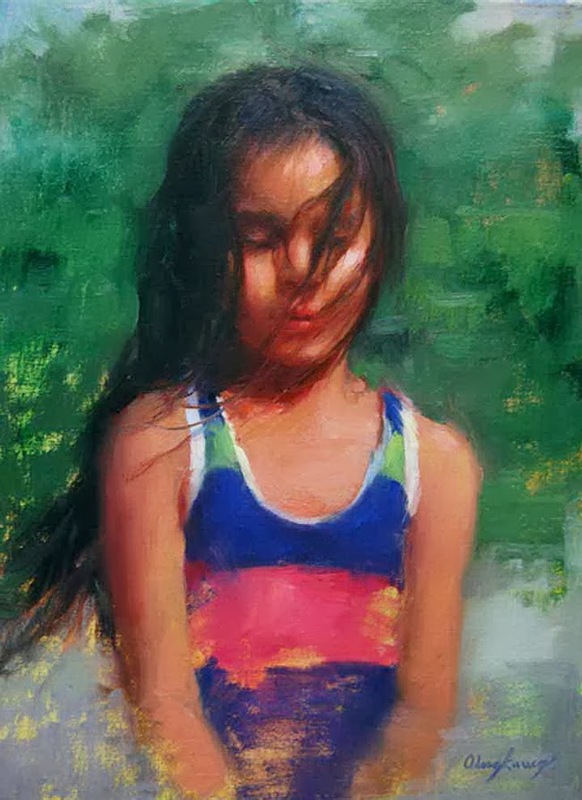 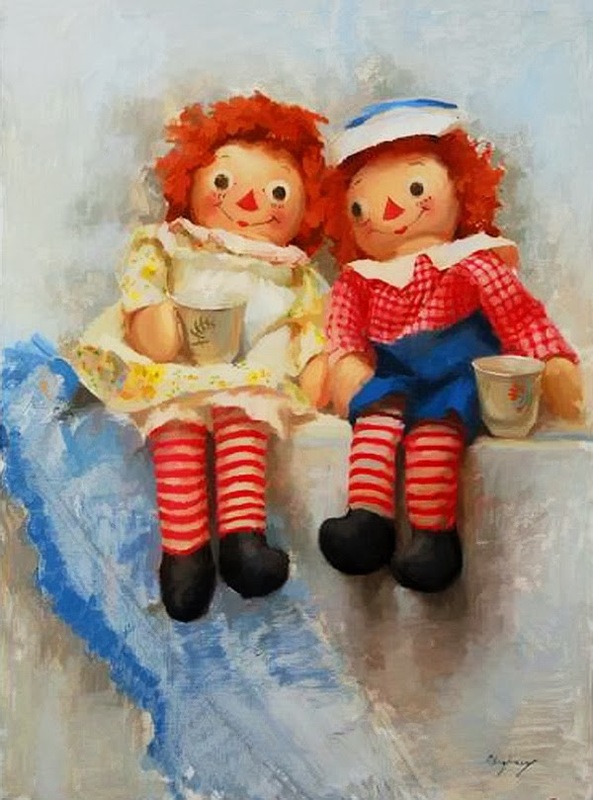 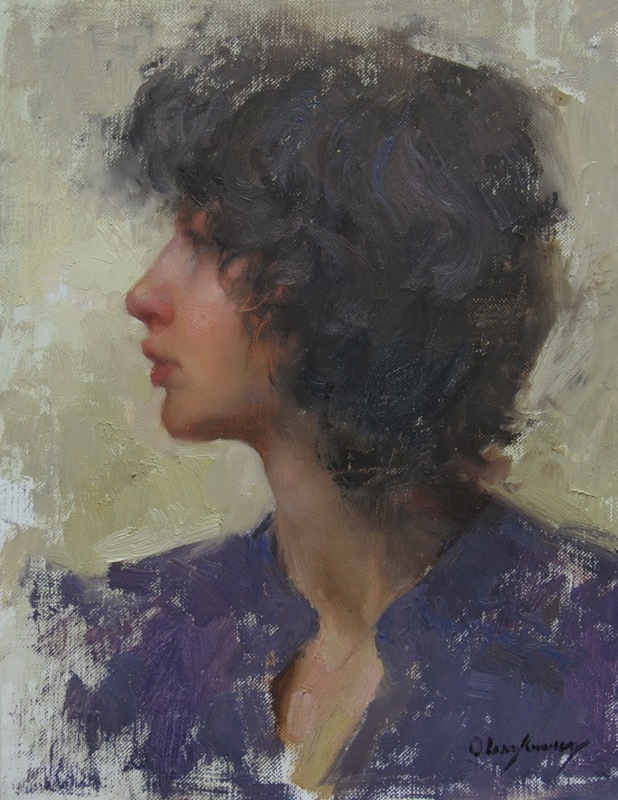 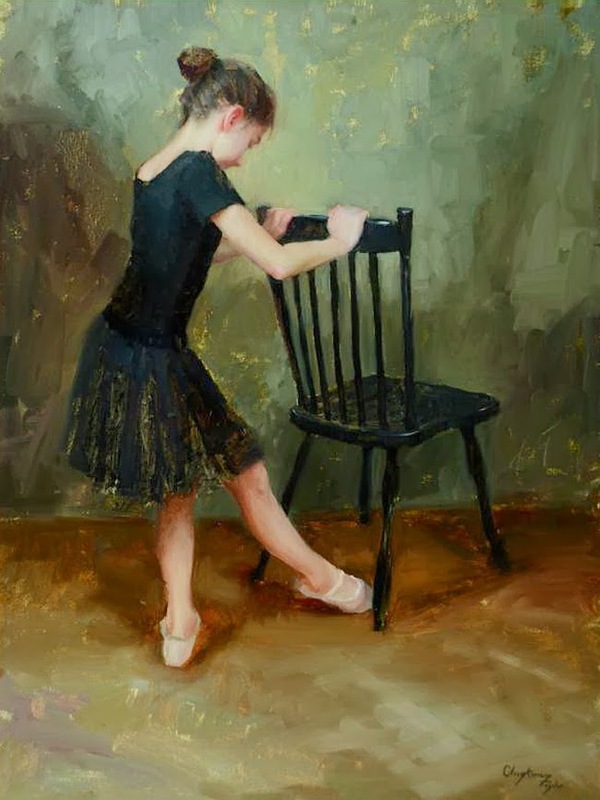 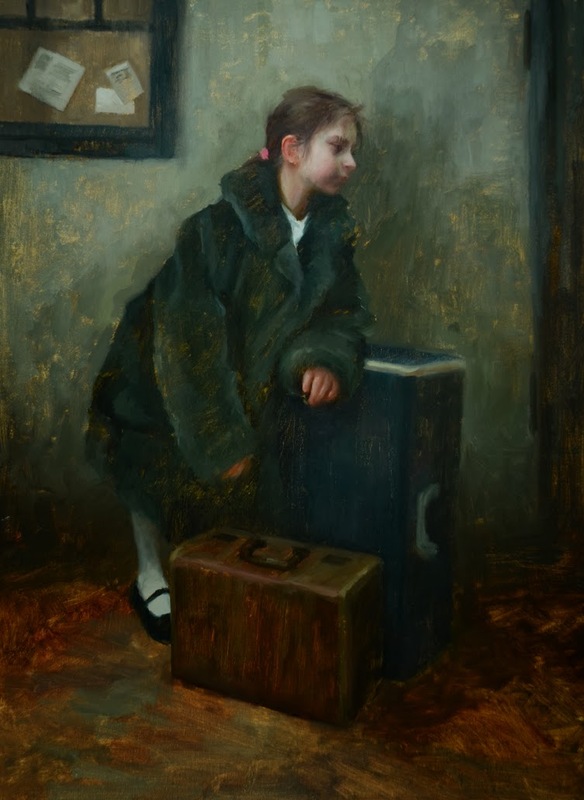 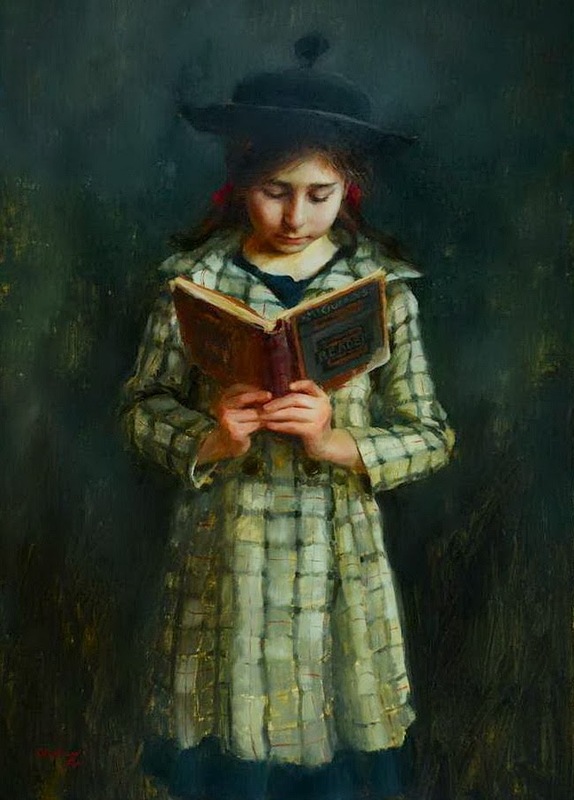 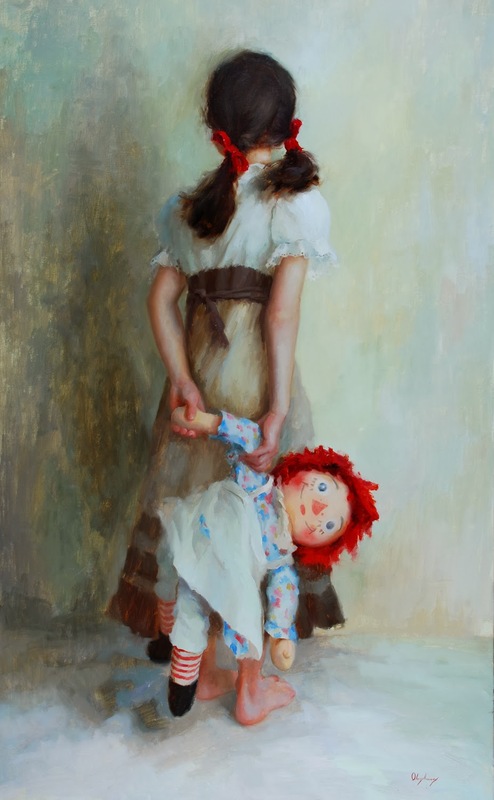 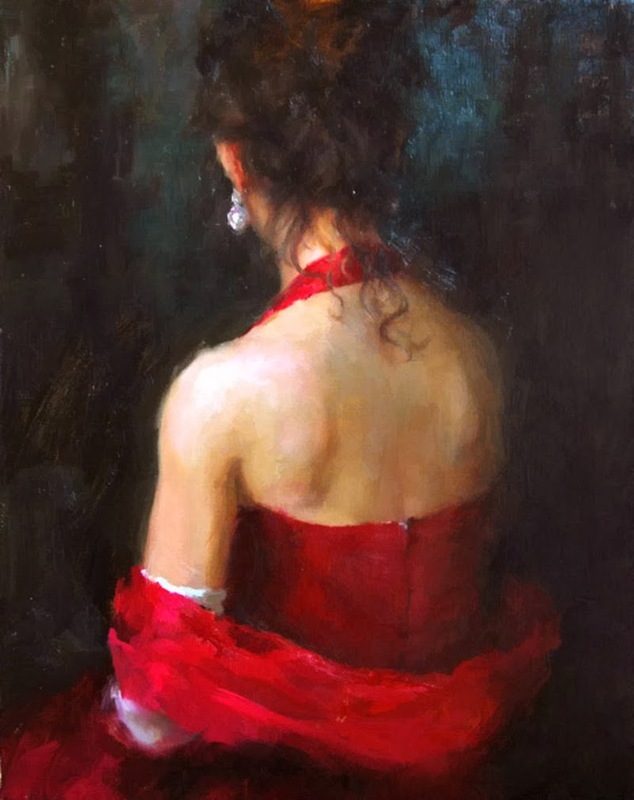 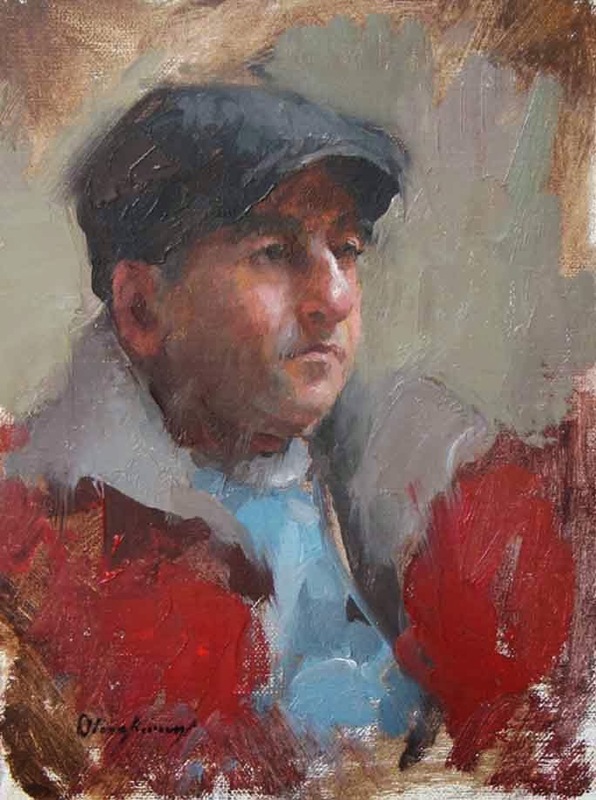 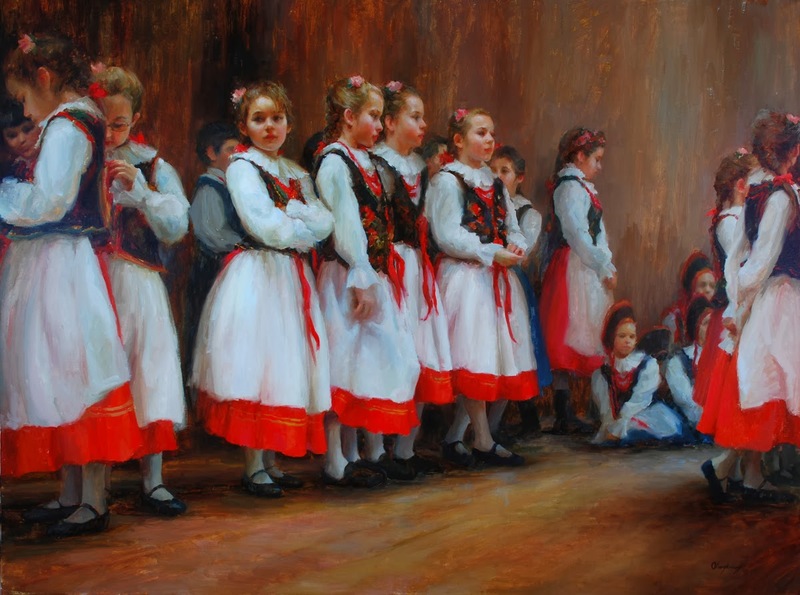 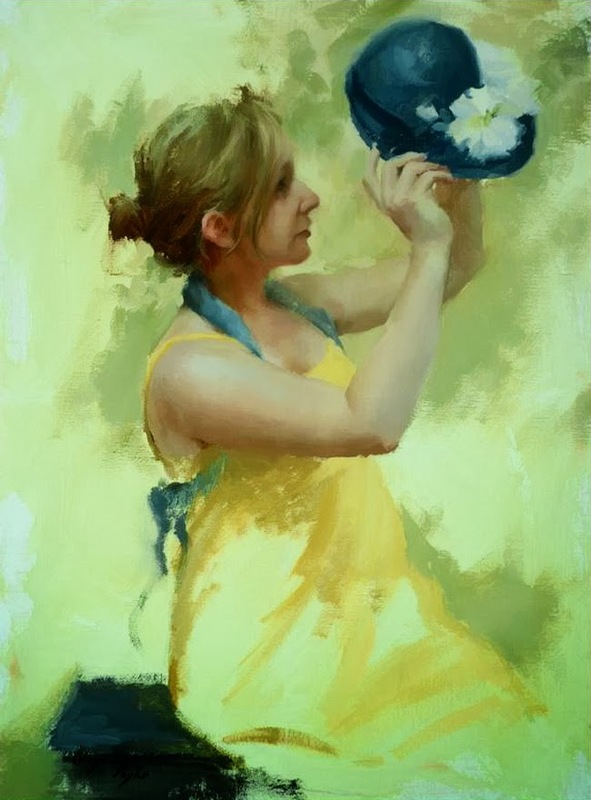 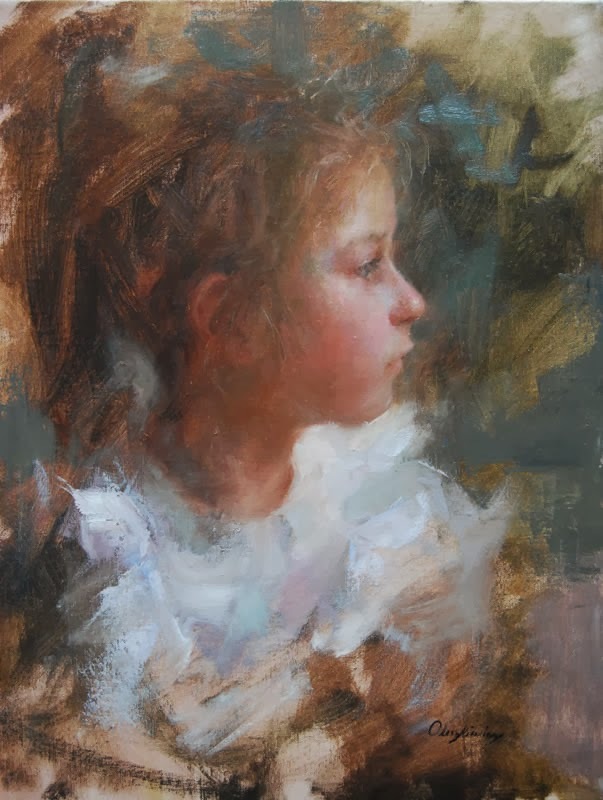 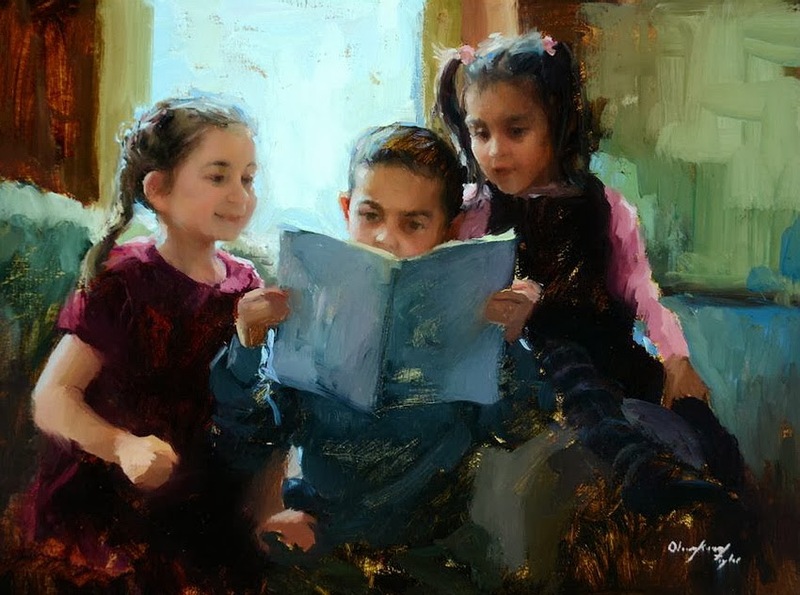 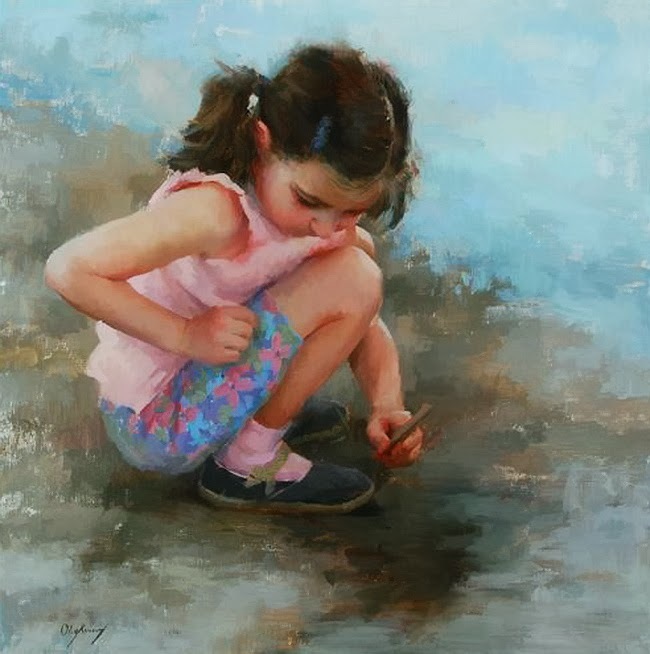 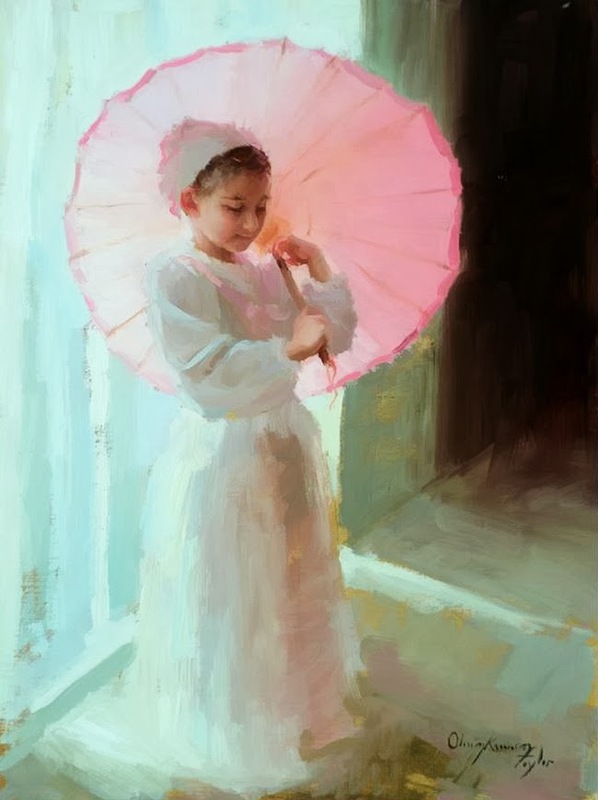 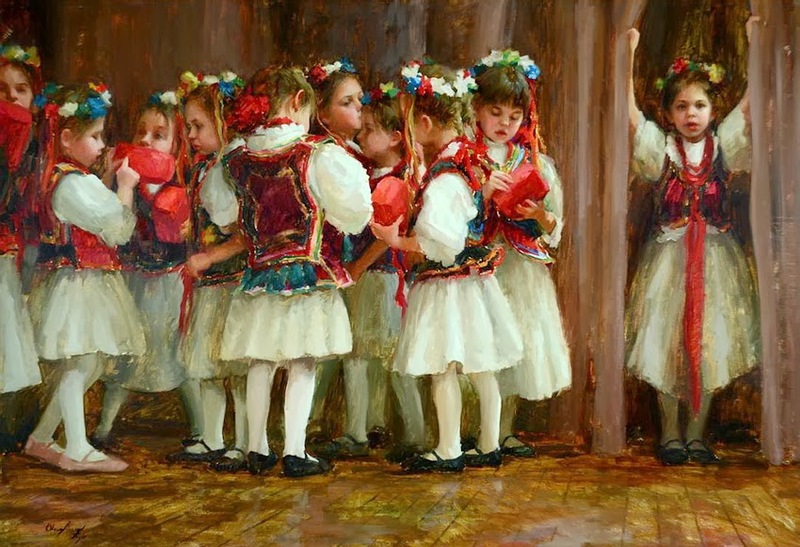 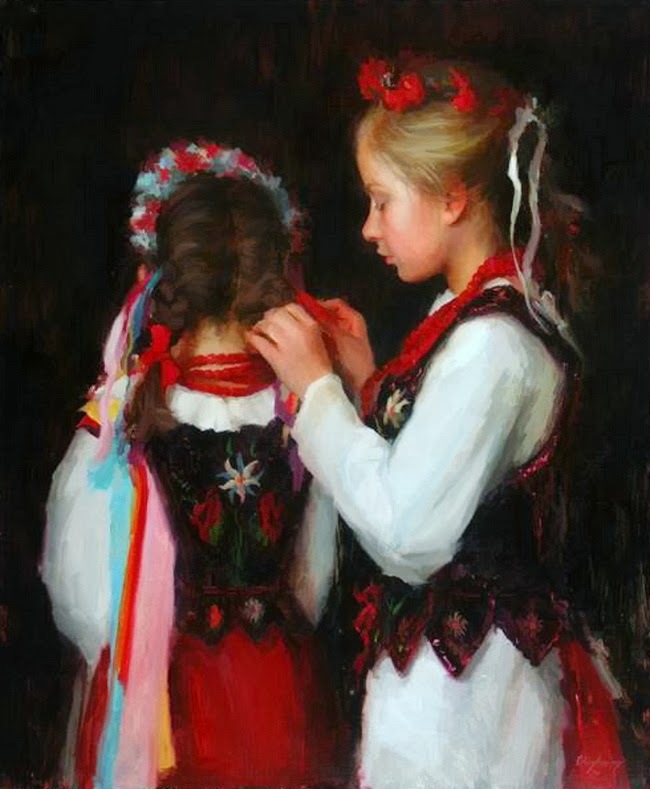 Upon entering several art competitions Marci was not only accepted in two of the top shows, The Oil Painters of America's national show and the American Impressionist Society's national show, but also received very substantial awards from both. 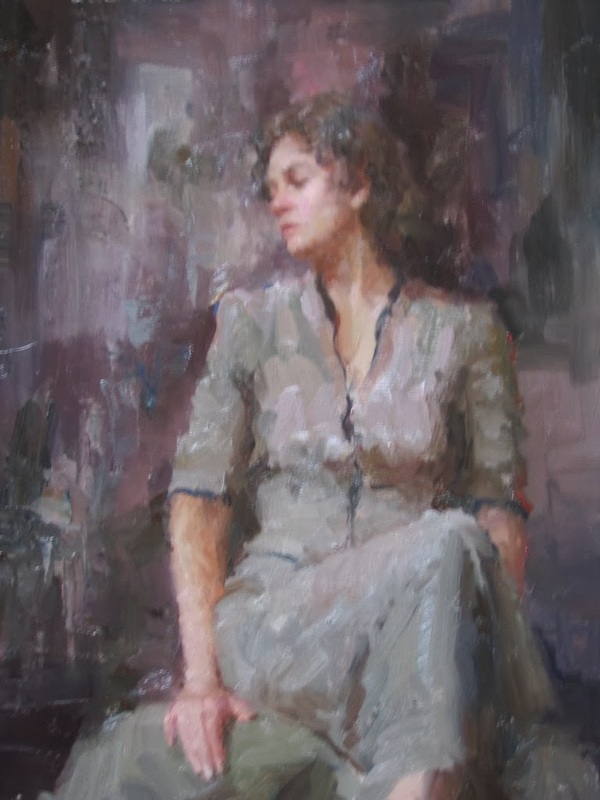 She received an award of excellence from the OPA and the best of show award from the AIS. 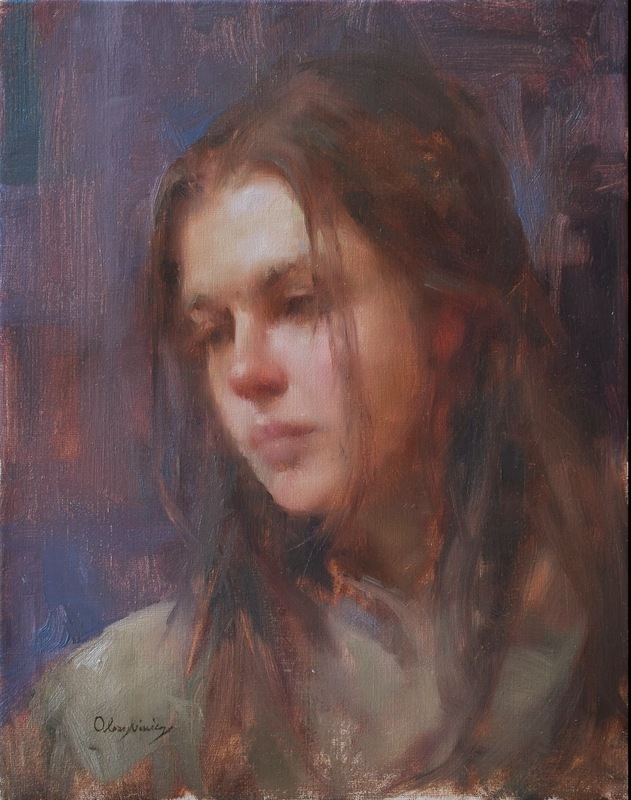 Not long after, she was included in Southwest Art Magazine's 21 under 31 and had her first two man show at Gallery Russia in Scottsdale, AZ. 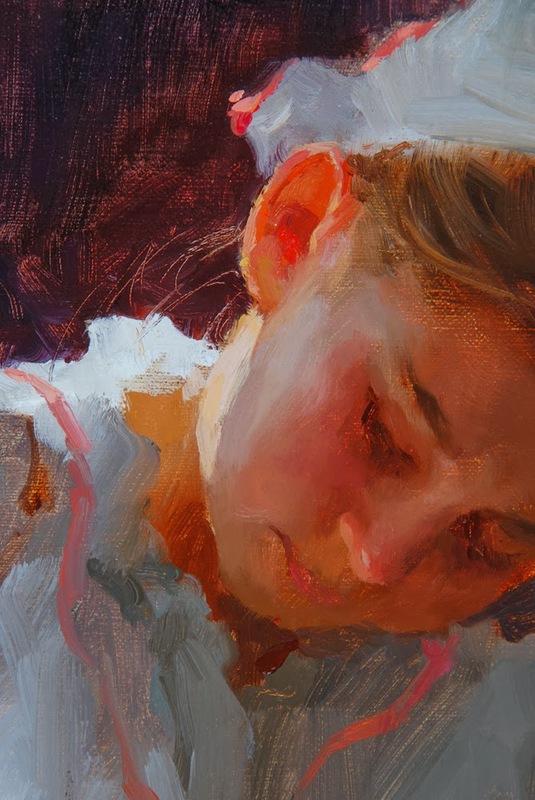 "Receiving so many incredible honors, one after another, really encouraged and pushed me into becoming a full time painter". 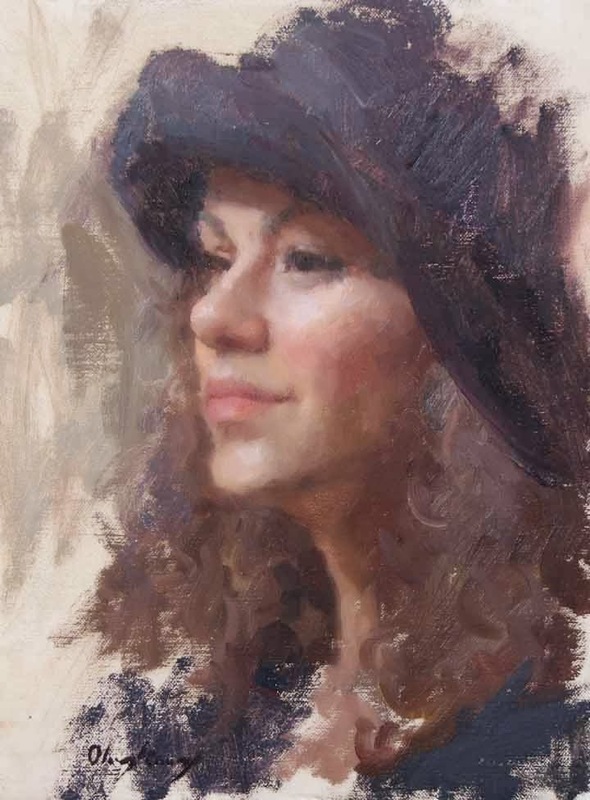 Since then Marci has continued to paint full time, focusing on her annual show that comes up every March at Gallery Russia in Scottsdale, AZ. 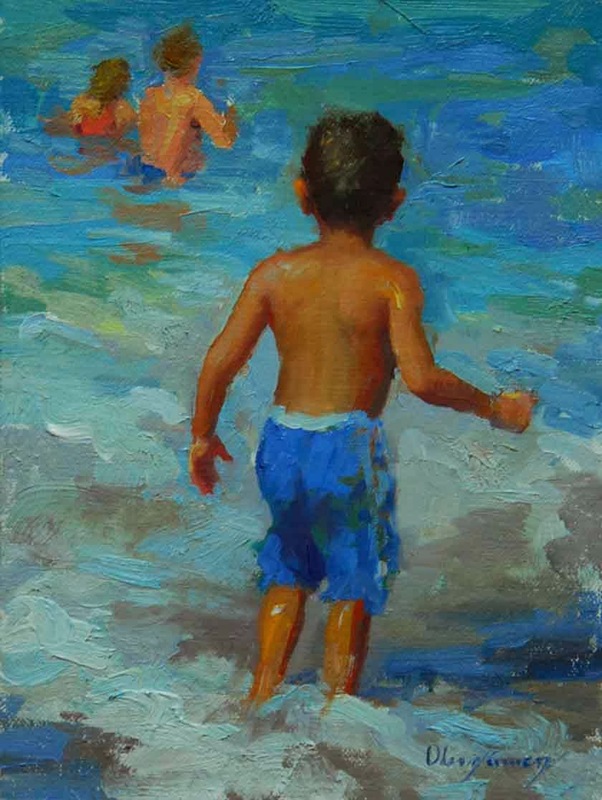 "I am always so encouraged to hear the response from my collectors every year, how they connect and are so touched by what I paint. 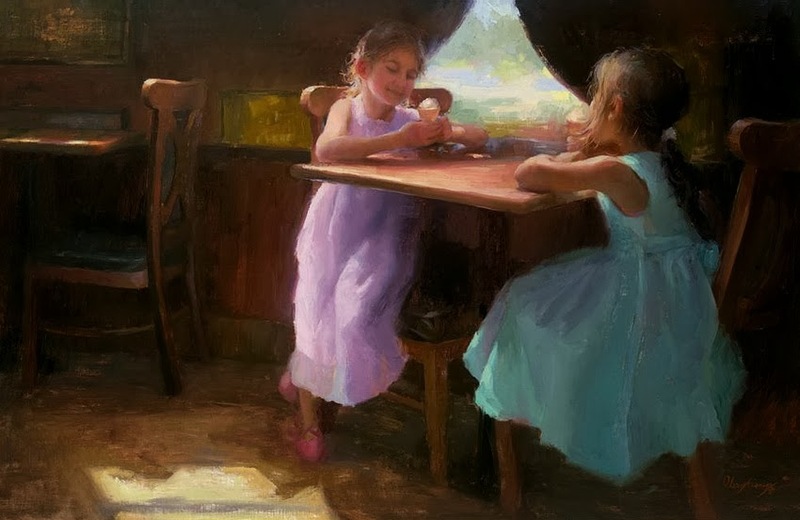 It is my goal as an artist to do just that, to create works that resonate with the hearts of others, to speak clearly and deeply to the innermost being. 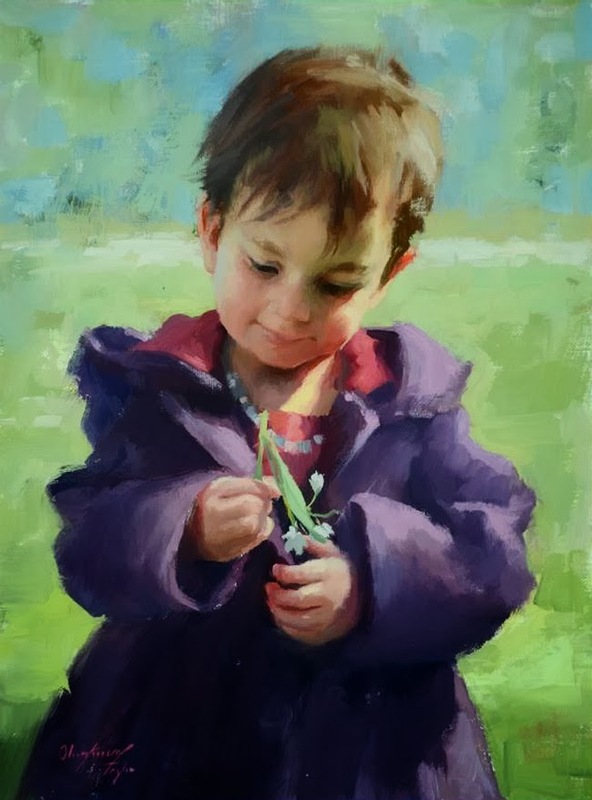 To capture moments of life on canvas that convey beauty, joy, love and truth. 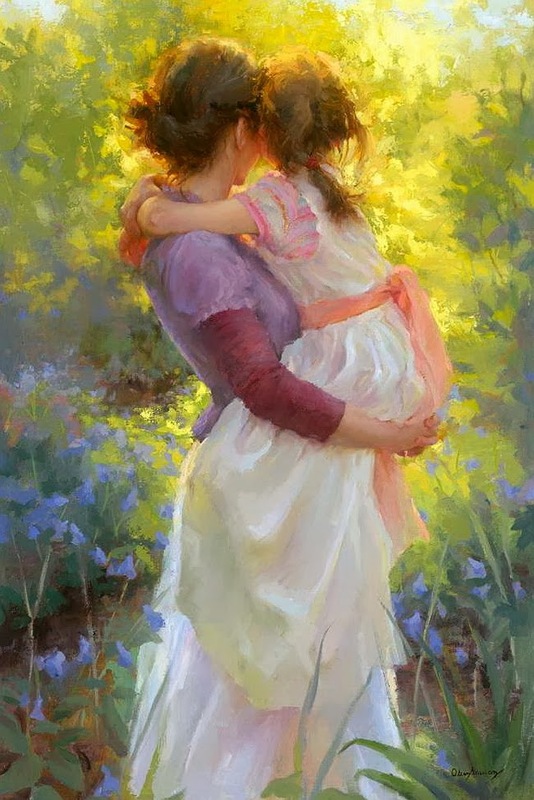 I've heard it said if you paint from your heart you will speak to the hearts of your viewers, and that is my desire". 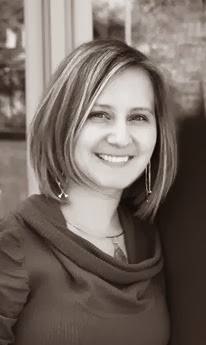 Marci Oleszkiewicz-Taylor was born and grew up in the city of Chicago in a family of four. 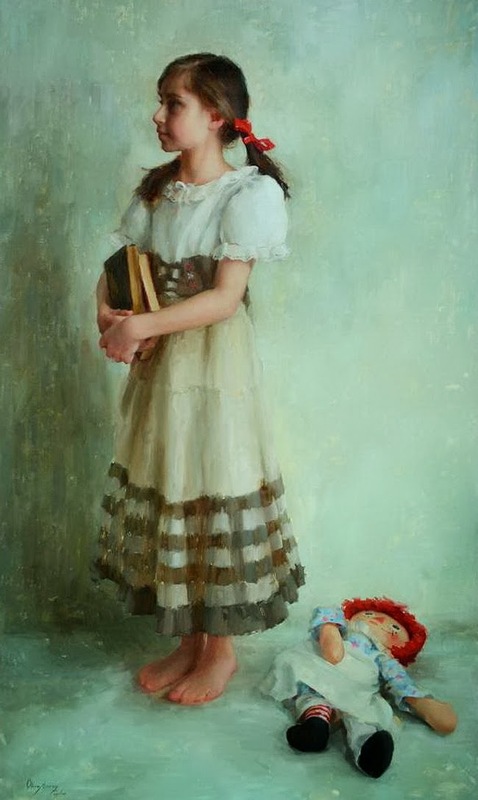 Her mother home schooled all four children where each child's gifts were nurtured and encouraged. 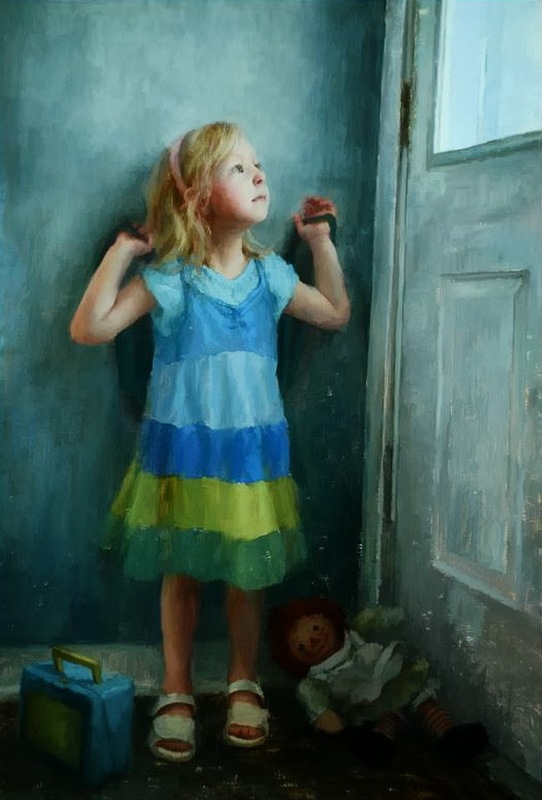 Marci's father was a carpenter and there wasn't a moment in her childhood that he was not renovating or working on some project for their home. 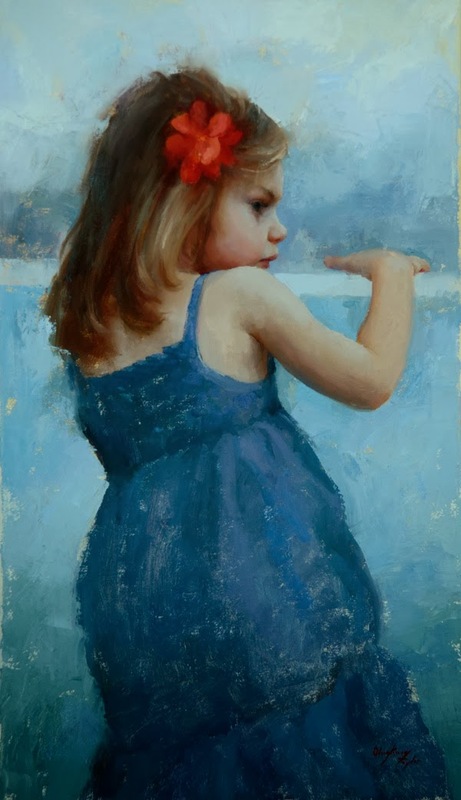 Looking back, Marci attributes much of her creativity to seeing her father always working on something, creating something out of nothing. 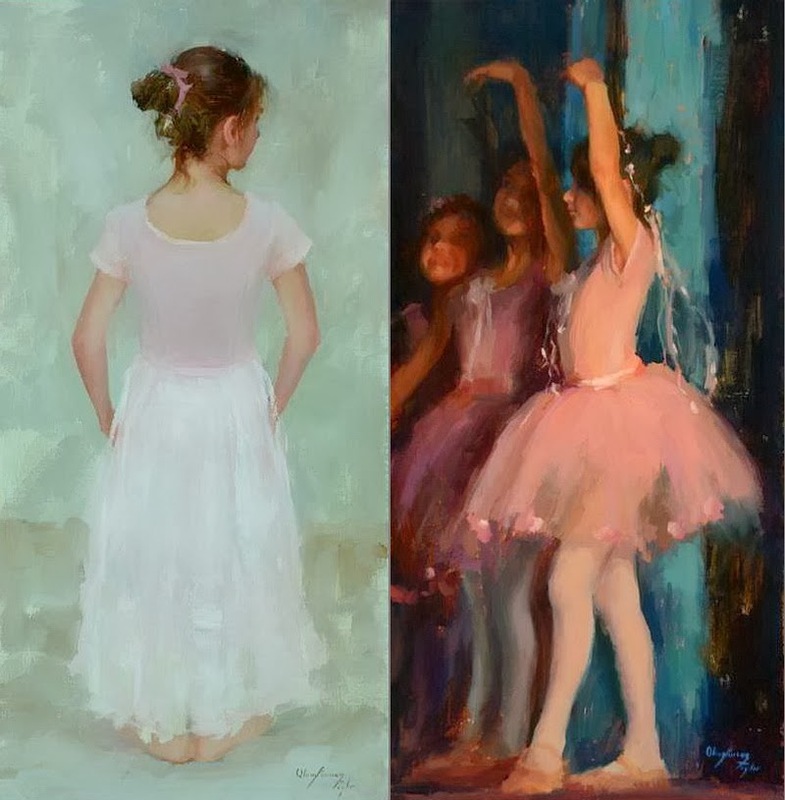 "My dad would say: 'See Marci, if you work at something little by little, you will see your idea come about'. 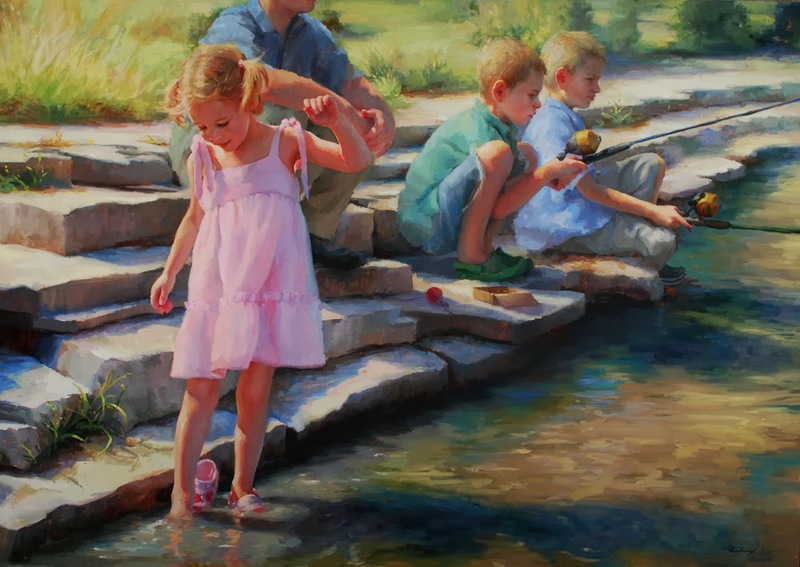 Seeing my Dad's work ethic and learning from my Mom the value of self discipline as a home schooler, I believe gave me some of the foundational tools I would need later in life to succeed as an artist".